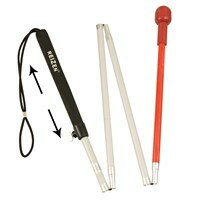 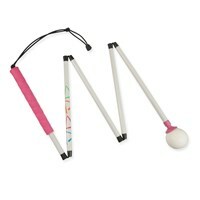 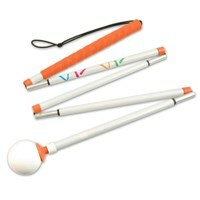 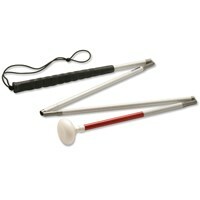 Strong and light weight, this model is a 5-section, 54-inch graphite Ambutech HiLites Folding Mobility Cane that has a colorful green flat-sided grip (straight handle) and rolling ball hook tip (white rolling ball with green hook) securely held in place with a durable elastic cord. 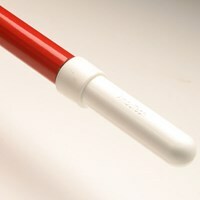 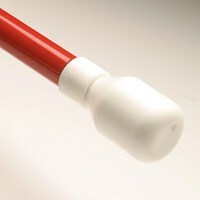 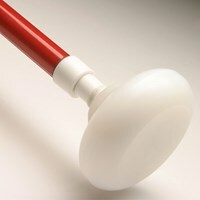 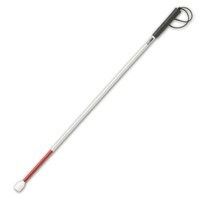 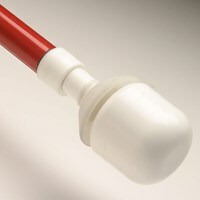 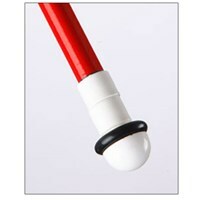 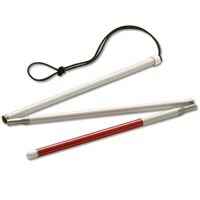 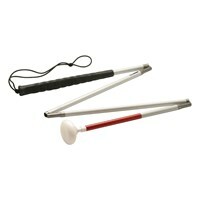 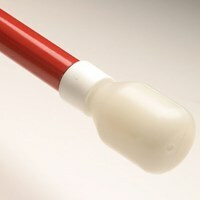 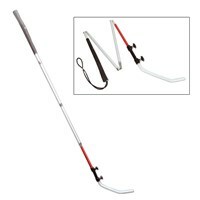 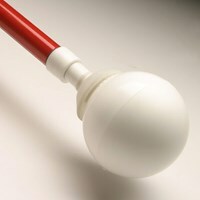 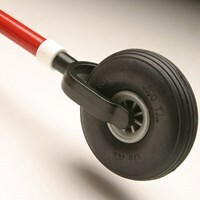 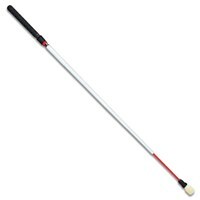 The cane shaft has traditional white reflective tape (no red stripe), and the cane is made of graphite with unique composite construction that features aluminum ferrules and Fingerguards to protect the elastic cord and ensures a snug joint fit, even after many miles of use. 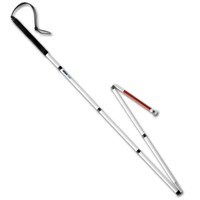 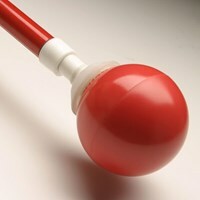 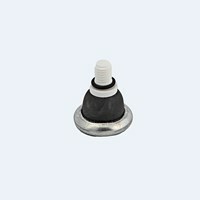 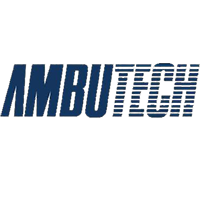 The graphite construction gives this Ambutech cane greater flexural strength than aluminum canes.